Pediatric size. Straight shaft, lens loop style tip. Flat serrated handle. 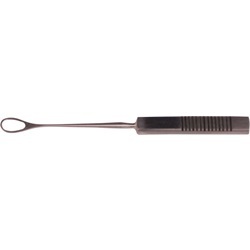 Overall length: 80mm.